﻿ Fish River Sun Hotel and Country Club Port Alfred. JIMAT di Agoda.com! Ada soalan mengenai Fish River Sun Hotel and Country Club? Dengan lokasi mudah di Port Alfred, Fish River Sun Hotel and Country Club adalah tempat yang hebat untuk menjelajahi bandar yang menarik ini. Hanya 28.0 Km dari pusat bandar, lokasi strategik hotel memastikan tetamu boleh ke mana-mana sahaja dengan cepat dan mudah ke tempat-tempat tarikan. Pelawat yang datang ke hotel boleh melawat tarikan utama di bandar ini seperti: Rizab Simpanan Pihak Berkuasa Tempatan Sungai Kap. Sun International terkenal kerana perkhidmatan yang berkualiti dan kakitangan yang ramah, dan Fish River Sun Hotel and Country Club ternyata seperti yang dijangkakan. Tetamu hotel boleh menikmati kemudahan seperti meja depan 24 jam, fasiliti tetamu kurang upaya, simpanan bagasi, tempat letak kereta, khidmat bilik. Alami bilik dengan kemudahan berkualiti tinggi sepanjang anda menginap di sini. Sebahagian bilik menyediakan bilik larangan merokok, penyaman udara, meja, beranda/teres, telefon untuk memudahkan tetamu berehat dan kembali bertenaga. Hotel ini menawarkan kemudahan hebat, termasuk padang golf (di lokasi), kolam renang terbuka, memancing, rumah urut, taman permainan kanak-kanak, untuk membantu anda berehat selepas hari yang penuh aksi di bandar. Apabila anda mencari penginapan yang selesa dan mudah di Port Alfred, ijadikan Fish River Sun Hotel and Country Club sebagai rumah anda seperti berada di rumah sebenar. The location, scenery & the food. So many things to do and will definitely take the rest of my family along the end of the year, so keep a spot open for 8. We had a lovely stay. Will be back. 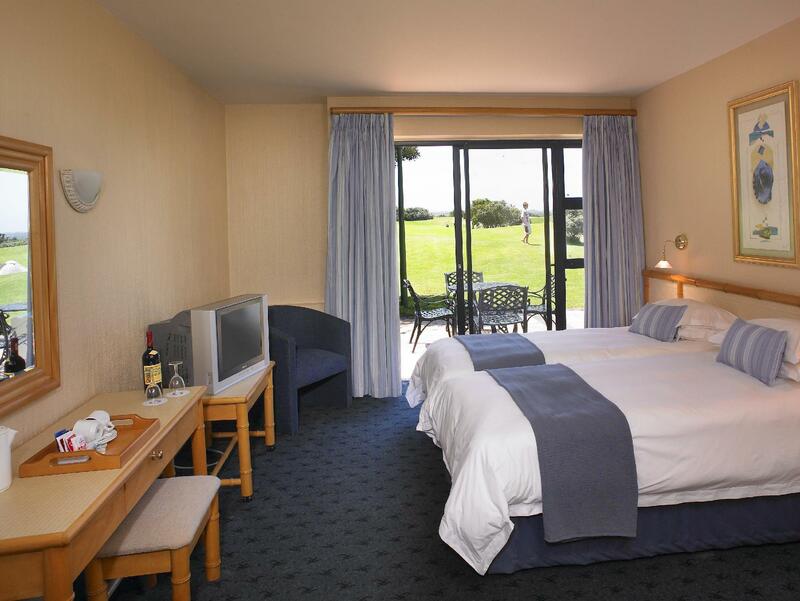 The golf course, the bed, the breakfast. As quite a large group of friends travelling to kleindemonde for a wedding, we were shocked at the over all state of fish river sun on a number of levels, particularly for the price we paid. The service was absolutely shocking, whether it was at the bar, restaurant, reception or general inquiries -it was very slow and unfriendly. Staff seemed very unaware of what was actually going on - often giving wrong answers to questions, over charging on bills or actually not knowing what was ordered and giving wrong bills. People were unable to check into their rooms on time (when checkout is at 10 am I find this quite ridiculous) after travelling a long way. Rooms took a very long time to be made up and the state of the bathrooms and dining room was not hygienic. Phones were not answered and everywhere seemed understaffed. The stay we had was something I would expect from a cheap place to stop over, not somewhere that rates themselves as a three star hotel and that people had told us was expensive but worth it. I would not recommend it to anyone for the prices that are asked. My partner had a good day on the golf course and I can say the spa was good and people friendly and organised, apart from that it really was one thing after another within our travel group who brought the hotel a lot of business. For a place in such a beautiful location they have a lot of potential - I truly hope they manage to jack it up before it's too late. We had heard raving reviews about this hotel. When we arrived we were immediately disappointed. There were three people behind the reception desk but only one person helping customers. It took 35 minutes to check in. Once checked in, we went to our room, which smelled like the windows and doers hadn't been opened in 70 years. It was musty and dusty. Not 20 minutes later a key opened our door and it was another customer who had also been checked into our room. They called and asked us when we checked in and who we were. Attempting to get dinner was another mess. A friend staying across the road tried to make booking for all of us at the Wahoo restaurant but was told very rudely that without a room number she could not make reservations. She came back very upset that she had been spoken too so rudely. Another friend staying at the hotel went and make a booking for 6 people using our two room numbers. At 8:30 we showed up to the restaurant and were told that we he only made the booking for 4 people. There was no one in the restaurant and yet we were told of we wanted 6 people we would need to wait another 10 minutes. 10 minutes turned into 30 minutes so we gave up and decided to order room service. It took 15 minutes to get someone to answer the phone and then we were told that they don't do room service. After explaining that there were me yes in the rooms and a brochure discussing room service options they told us they would have to call us back. We called the restaurant directly and ordered toasted sandwiches. It took them over an hour to deliver the sandwiches. The next day we went back to have our breakfast. We were told to sit at table 24, when we got to table 24 it was filthy. Looking around all of the tables were dirty except a table for 6 people, so my husband and I sat at a huge table and couldn't get anyone to bring us so much as a cup of coffee. To top of the horrible customer service the hotel ran out of water so we could shower or use the toilet. The staff are lazy, the facilities poor and the overall impression is of a 70's timewarp. Hi, we loved our stay at the Fish River Sun. Everyone was helpful and went out of their way to make our holiday a memorable one. Thank you to all. PS We loved the shuttle to the beach and the games room was brilliant. Thanks to all. The stay was very enjoyable; however, some of the staff were incompetent. The duty manager, in particular, had no idea about hotel policies. We gave our pre-paid hotel voucher upon check-in. They promptly lost it & wanted to charge us a 2nd time upon check-out. We had to arrange to email them the same voucher, but she still wouldn't accept that payment was made because the credit card number was xxxx'd out... Clearly for security reasons. It took 30 mins of persuasion to convince her before we finally just left. Their staff have no clue and aren't qualified to run a hotel! Shocking!! 10 out of 10 - can't fault a thing - rooms were a little old but very comfortable. comfortable, lovely beach, unspoilt nature, nice surroundings. not very good value for money. Reservation was a problem from the start , information at the hotel did not match what was booked and generally check in staff not very friendly.Stay at the hotel was average, although the golf club house and pro shop was staffed by friendly and efficient staff.